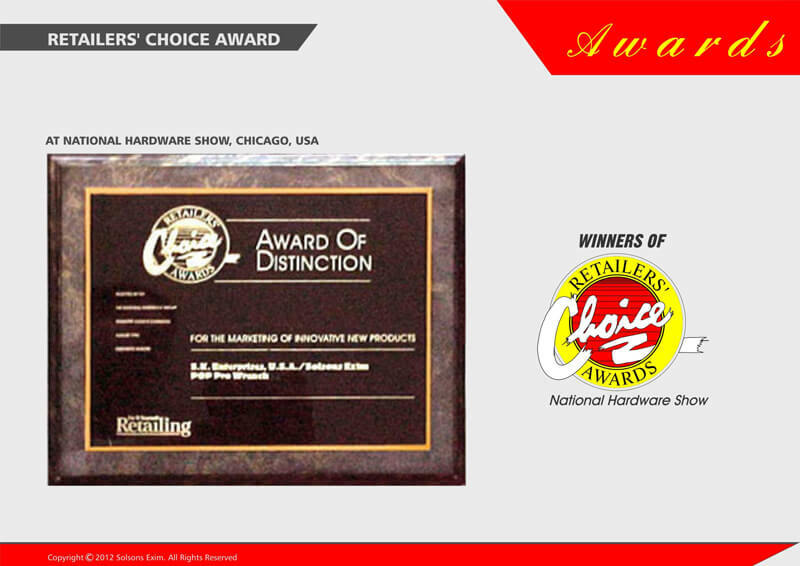 Retailers' Choice Award - National Hardware Show, Chicago, USA. 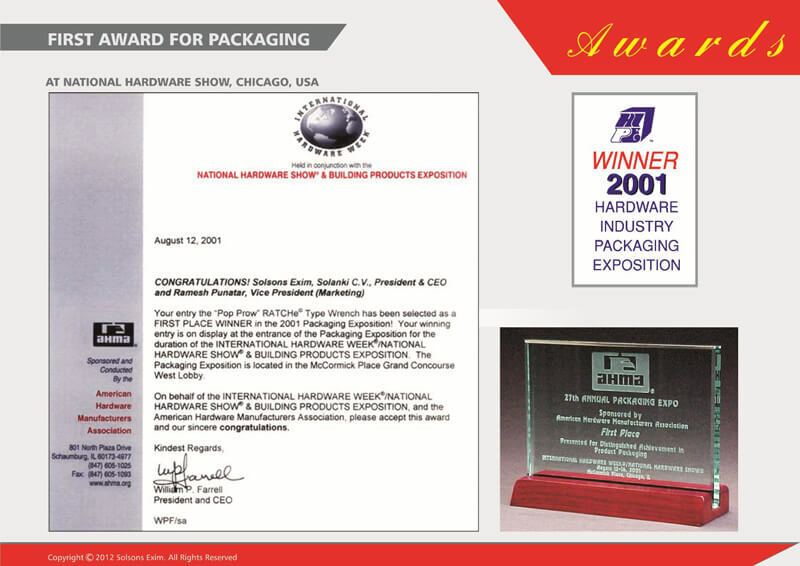 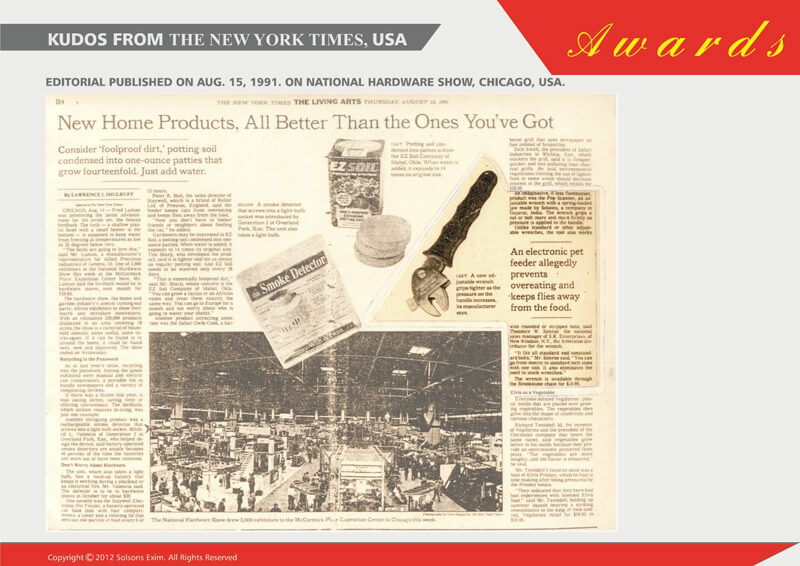 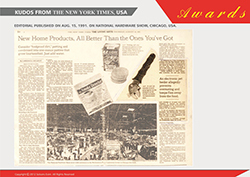 First Packaging Award - National Hardware Show, Chicago, USA. 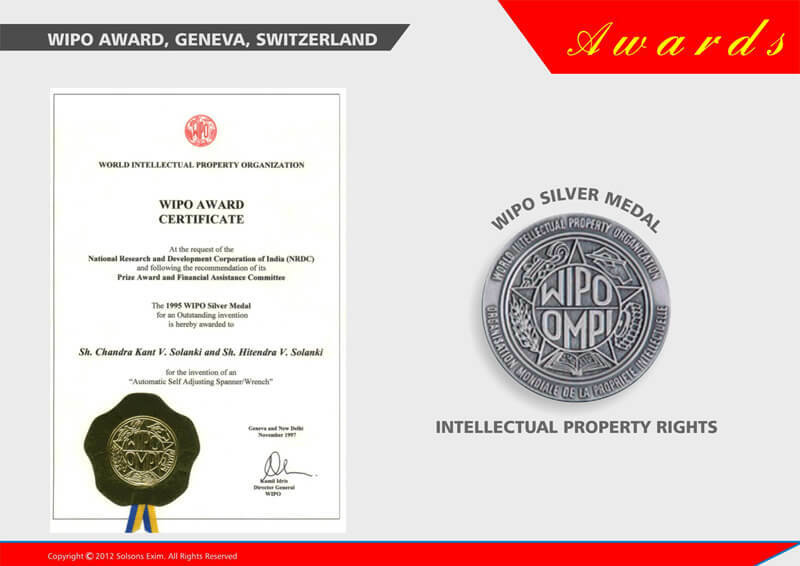 WIPO Award - World Intellectual Property Organization (Silver Medal), Geneva, Switzerland. 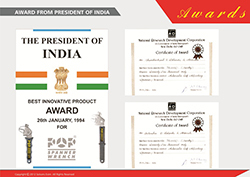 Republic Day Award - by The President of India - Best Innovative Product of the year. 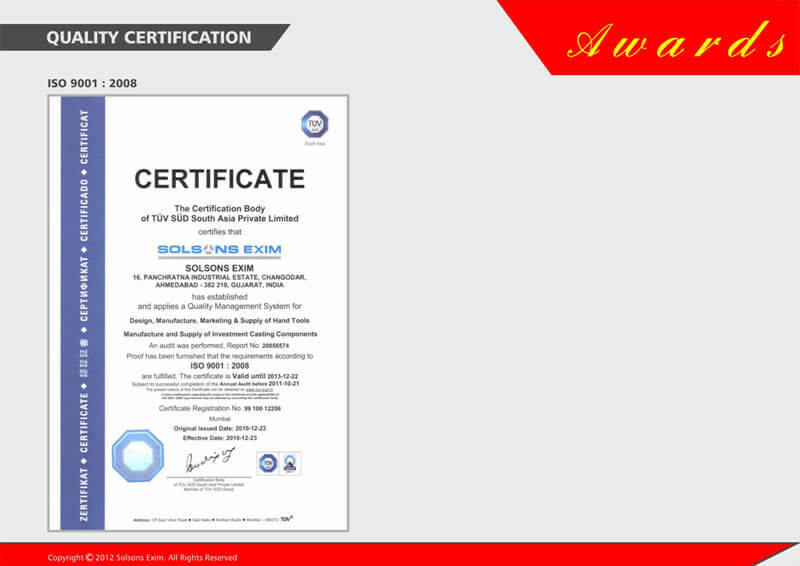 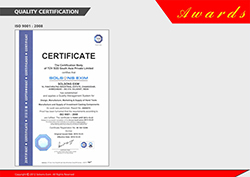 ISO 9001:2008 company certified by TÜV, Germany. 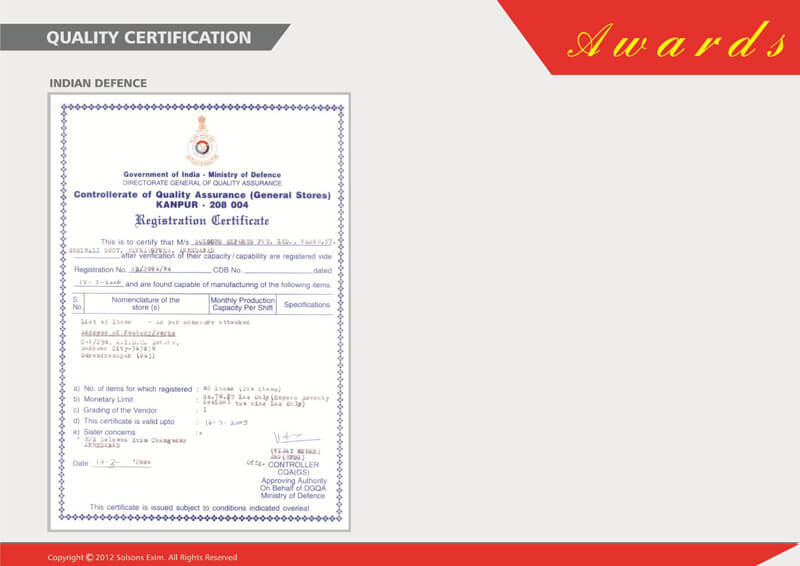 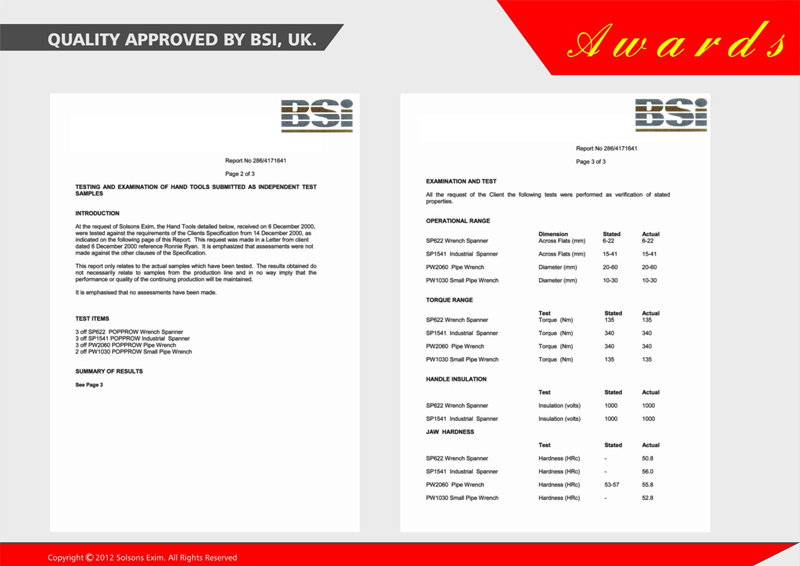 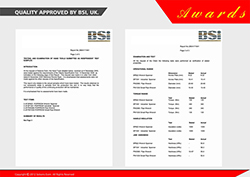 Quality approved by BSI (British Standards Institution), UK. 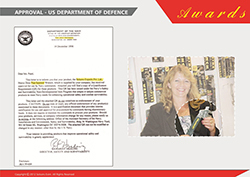 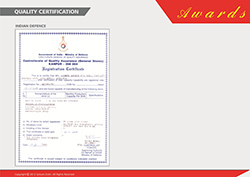 Approved by US Department of Defence, Pentagon, Washington D.C.
Approved by Directorate General of Quality Assurance (DGQA), Ministry of Defence, India. 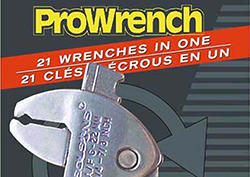 Chosen by Tim Allen Signature Tools (Hollywood Star). 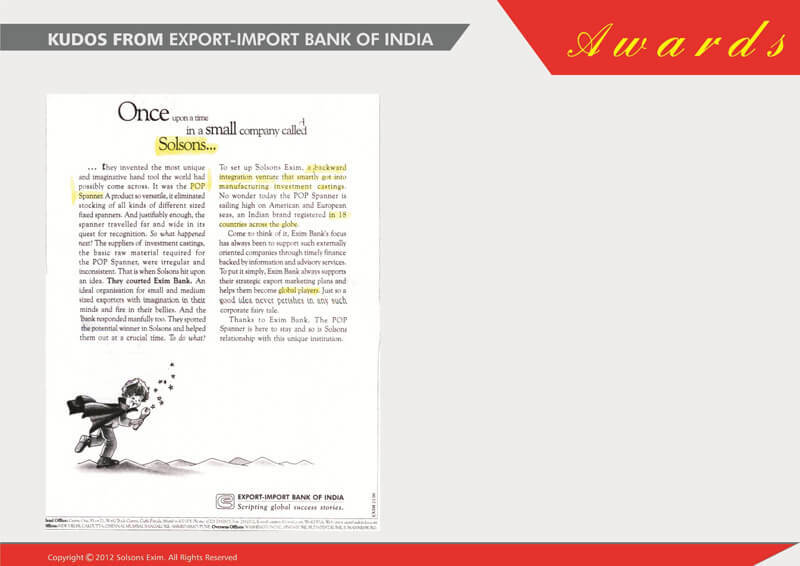 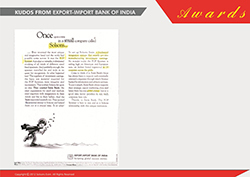 Appreciation by Export - Import (Exim) Bank of India in Times of India & other leading news papers. 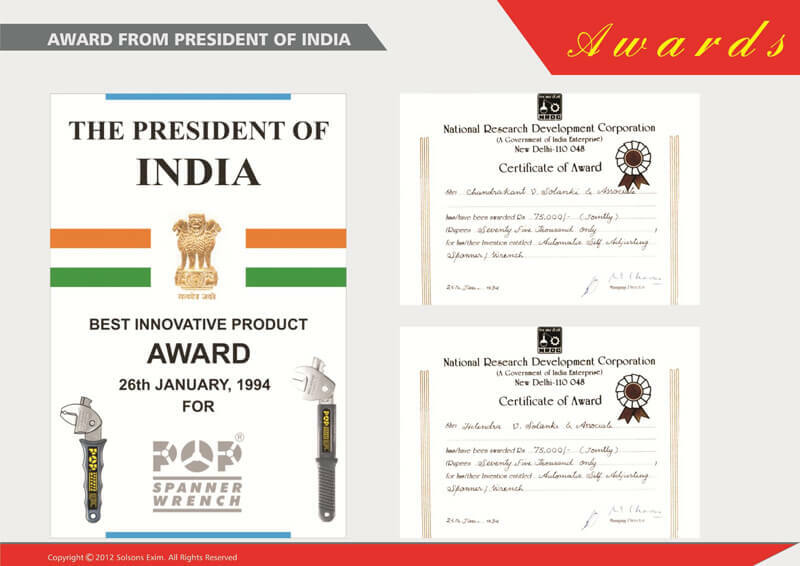 A Success Story. 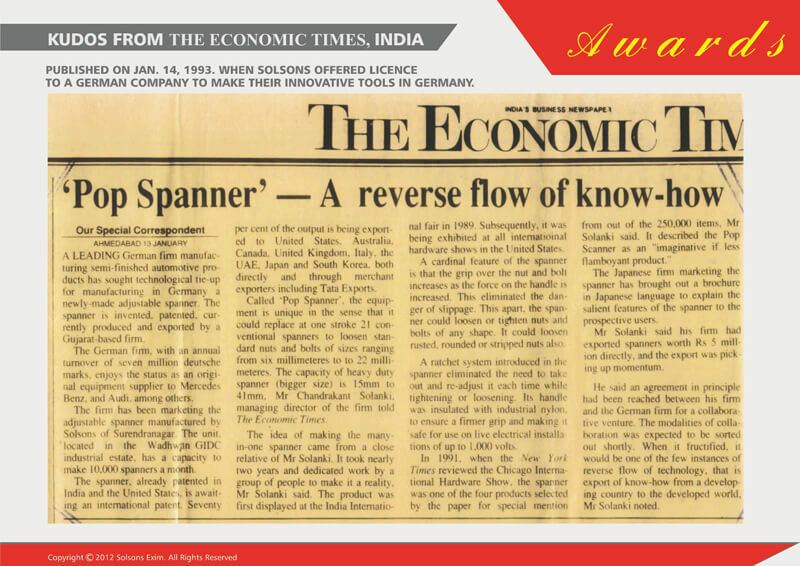 Appreciation from Economic Times – 'Reverse Flow of Know-how to Germany.